FREMONT, Calif. — Nov. 2, 2010 — Since 2005, the average number of remote controls in the living room has grown worldwide and, as a result, consumers are showing a clear interest in technologies that make home entertainment simple again. Logitech (SIX: LOGN) (NASDAQ: LOGI) and independent research firm Wakefield Research announced today the results of the Global Remote Control Trends Study. The survey of seven countries from around the globe revealed that entertainment is being hindered by the increase in living room gadgets and a lack of simplicity of use. According to research in the seven countries surveyed, which include the United Kingdom, Australia, France, Sweden, Netherlands, the United States and Germany, a majority of households in France (51 percent), Australia (52 percent) and the United Kingdom (52 percent) possess four or more devices in the living room that need remote controls. And the number of devices in the living room leads to frustration or confusion over how to do even a simple task such as watch a movie. In nearly every country in the survey, almost half of remote users needed to press three or more buttons – usually on multiple remote controls – just to watch a DVD. The Global Remote Control Trends Study also found that consumers are ready for an entertainment overhaul when it comes to ease of use in the living room. Virtually nine out of 10 (93 percent in America, 89 percent and higher globally) people believe their home-entertainment experience would be more enjoyable if they could just push a single button to enjoy their favorite feature film. In just five years, people in all seven countries have increased the number of remotes taking up space on the living room table. The increase has been most dramatic in France and Australia, where the number of households with more than four remote controls has more than doubled. With all these remotes floating around, the chance of losing one of the controllers increases, and a lost remote control can render an electronic device virtually useless. Almost one in five Americans own a device, such as a DVD player or home audio system, that is connected but rarely or never used due to a missing remote. And, according to the survey results, even when people have the remote, between 15 percent and 24 percent of global households have someone who does not use electronic devices simply because they don’t understand how to operate the remote. A similar number of consumers (between 16 percent and 27 percent globally) have personally written a “Remote Control for Dummies” guide – a list of how to use the remotes in their home – to help friends, babysitters and visitors decipher their home-entertainment system. Touch-screen phones and tablet computers have created a frenzy for finger-functioning electronics. Around the world, about half (from 47 percent to 59 percent) of consumers agree that touch-screen remote controls would make their entertainment experience better. Outdated remotes could definitely benefit from the healing power of touch. Additionally, consumers across the globe unanimously agree that setting up a universal remote saves time and energy in the long term. Nine in 10 Americans (90 percent) and Australians (90 percent) view a good universal remote as a solid investment. Logitech is proud to help consumers ease the transition from cluttered mess to sleek simplicity with the Logitech Harmony line of remotes. 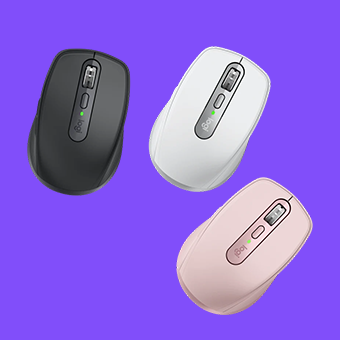 Logitech’s Harmony remotes offer features such as touch screens and activity-based control, making it easy to access your most-used functions. Each Logitech Harmony remote is designed so the controls are intuitive, grouped in ways that make sense and easy for anyone to use.. After a brief set up, whatever people want to watch, play, or listen to, with Logitech Harmony consumers are just one touch away from their entertainment. In the Global Remote Control Trends Survey, seven individual surveys were conducted by Wakefield Research (www.WakefieldResearch.com), each consisting of at least 1000 adults, ages 18 and older. One survey was conducted in each of the following countries: United States, Germany, France, United Kingdom, Netherlands, Sweden, and Australia. The research was fielded using an email invitation and an online survey between September 1st and September 9th, 2010. Quotas were set to ensure reliable and accurate representation of the total population, ages 18 and older, in each respective country. Results of any sample are subject to sampling variation. The magnitude of the variation is measurable and is affected by the number of interviews and the level of the percentages expressing the results. For each of the interviews conducted, the chances are 95 in 100 that a survey does not vary, plus or minus, by more than 3.0 percentage points from the result that would be obtained if interviews had been conducted with all persons in the universe represented by the sample.